Time for our monthly giveaway from the generous writing duo Alma Flor Ada and F. Isabel Campoy! This set of multimedia materials is mentioned in their Transformative Calendar, a free download for parents and educators. It is full of suggestions for books and poems appropriate for different dates throughout the year. FIVE lucky MommyMaestra readers will win one of these materials. What a great giveaway! 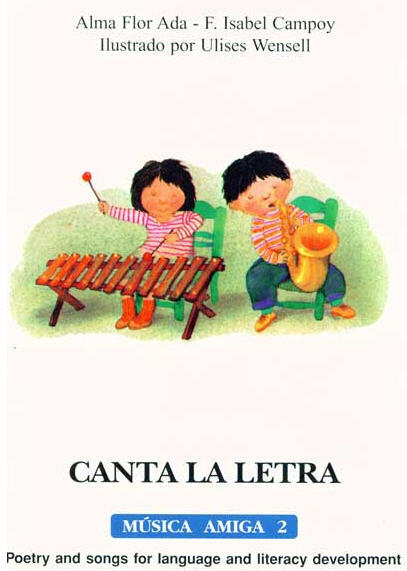 I would LOVE to have the "Canta la Letra" book & CD for when I teach my two LO to read in Spanish. It would probably make it a lot more fun for them. I'd love any of them! Vuelo del Quetzal would probably be my top choice! 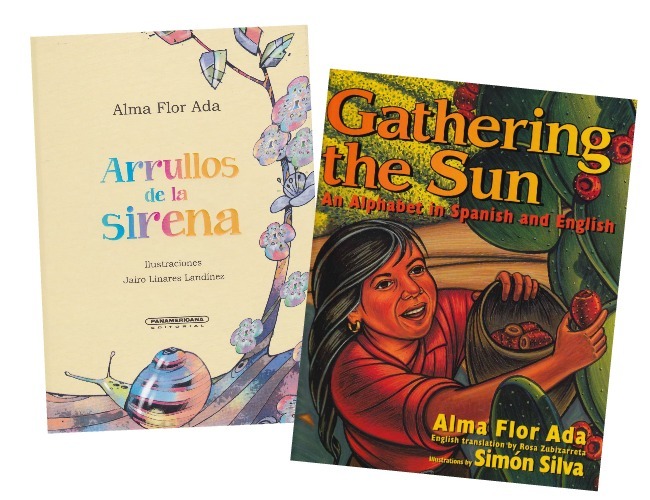 These are all wonderful resources, but I am most interested in Arrullos de la Sirena because I am always looking for good Spanish children's poetry. These all look fantastic, but I have to go with Música amiga Number 2 Canta la tetra - my 3yo loves CDs that come with little booklets, and this resource seems better than anything we have now! I Will go for Musica Amiga. My kids just love music! I think I'd most like to receive Musica Amiga. We adore cd's and they're a huge help in language learning. 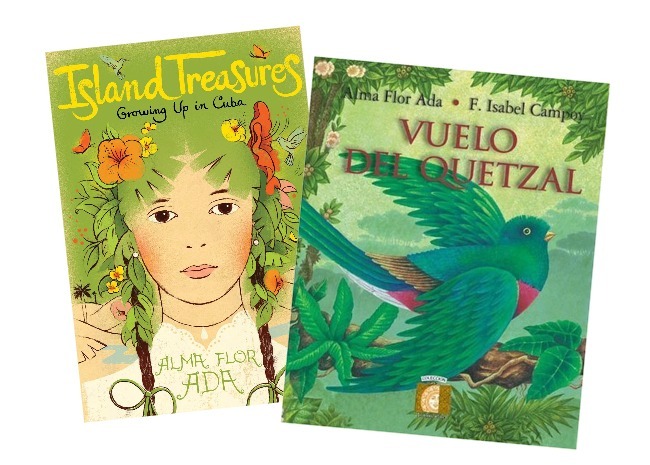 All the resources look wonderful but I would love "Vuelo del Quetzal" as my daughter is Guatemalan and it is more challenging to find books about her country than others. I love Alma Flor Ada books. I'm a big fan. Thanks for this generous giveaway. What a fun giveaway!!! :) Thanks!